Hi, it's me Jake! Thanks for checking out the site. This is my sister Alexis. She's a bit on the emotional side. 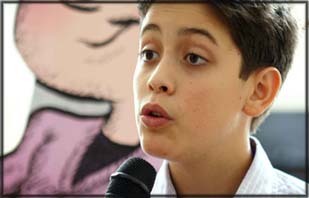 This is best friend Michael. Don't let his size fool you, he's TOUGH! This is the school's rich kid and a spoiled jerk. This is the Molly and she's perfect. Jake Marcionette would love to come to your school or organization and share his story of success and help motivate everyone to find their passion at any age. JUST JAKE #3 IN STORES! "Madcap middle-school mayhem from an author who has seen it all - RECENTLY!" "Jake’s youthful exuberance shines through and keeps the story speeding ahead." 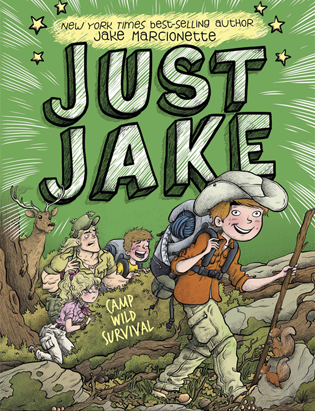 "Aimed directly at fans of series like Diary of a Wimpy Kid…Jake’s first-person narrative looks and feels like a sixth-grader’s real-time memoir, complete with water stains, doodles and examples of Jake’s signature Kid Cards…An eye-catching read." 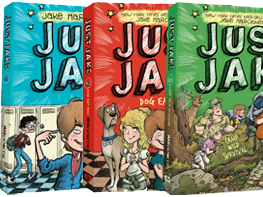 "Just Jake is going to make a lot of readers happy; it's already made this reader very happy."